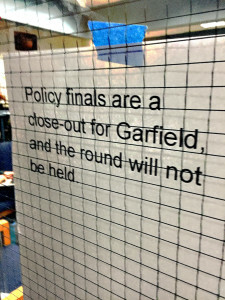 The tournament announces that Garfield has closed out the final round! 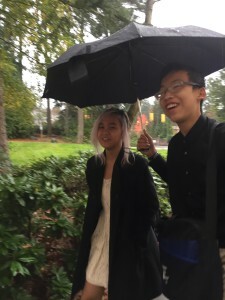 Aisley and Henry braving the rain on the way to the tournament. Garfield debaters hard at work, preparing for day 2 of the tournament. Ms. Young supervises the debaters while enjoying the sumptuous tournament breakfast. 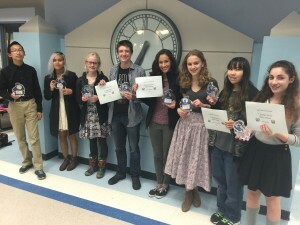 Our Varsity winners with all of their awards! Congratulations to Stella, Luke, Petra, and Hannah. 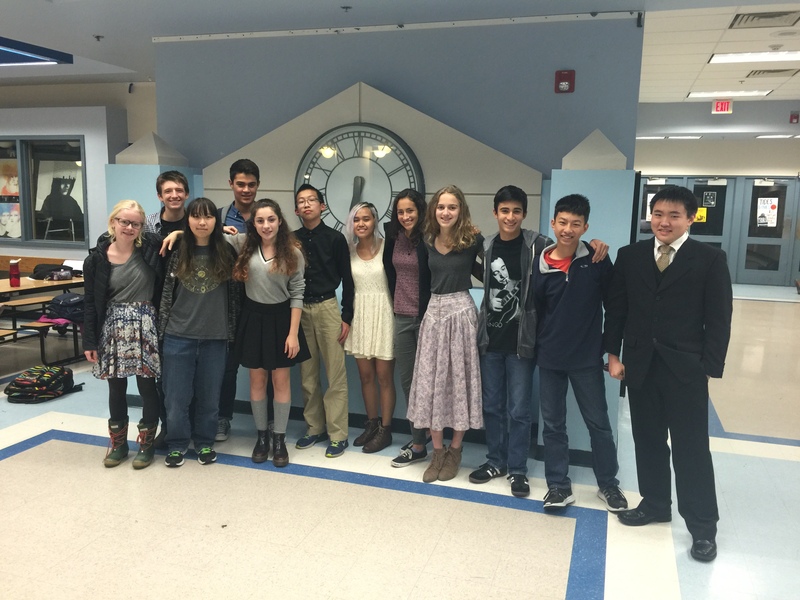 All of our finalists! Congratulations to Henry, Aisley, Stella, Luke, Petra, Hannah, Mabel, and Mira! Based on these performances, our two Varsity finalist teams have also received a bid to the State tournament in the spring. 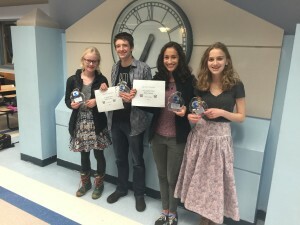 The debaters also won several speaker awards, with Luke placing 1st in Varsity, Petra placing 3rd in Varsity, Mabel placing 4th in Novice, and Mira placing 5th in Novice. 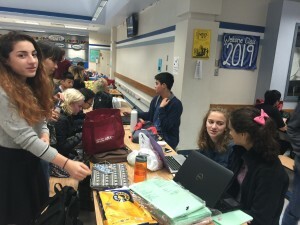 While not getting an award, Hannah was 4th, Stella 5th, Sungchan 6th, and Griffin 8th speaker in Varsity… demonstrating clear dominance for Garfield! 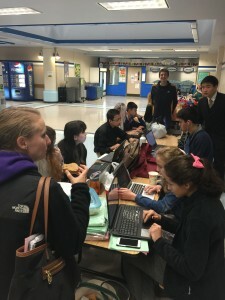 Griffin and Sungchan were also close on the heels of the two other Varsity teams, taking 3rd place at the tournament and only separated from the final round by 3 speaker points. Bryce and Luis were also only 3 points away from the Novice semi-finals round, placing 6th overall. I’m very proud of everyone, and hope that all of their hard work continues to pay off at future tournaments! Our pleasure! We couldn’t be more delighted for the team! Congratulations! 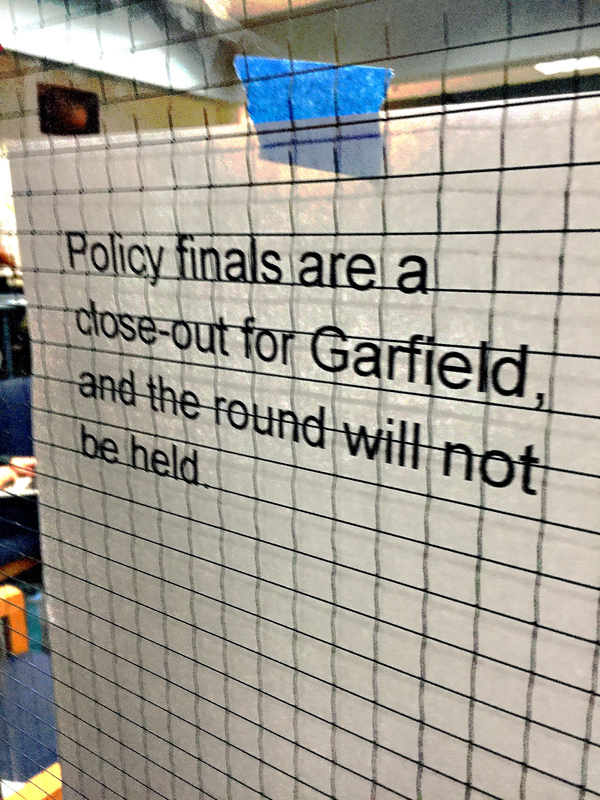 Way to go, Garfield debaters!